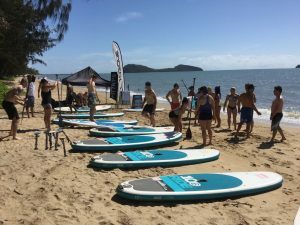 Paddleboarding Palm Cove – Palm Cove is a Beautiful place to paddleboard. 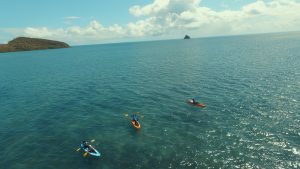 We have the islands and reefs just a short paddle away and the beautiful coastline and headlands to explore. 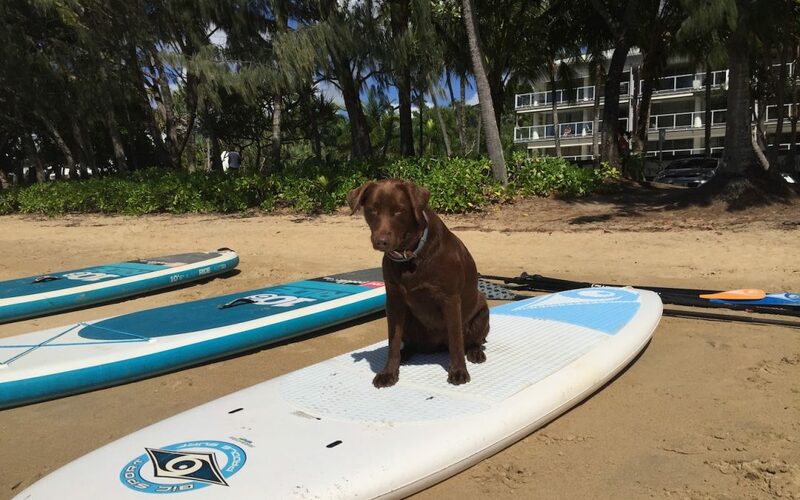 With warm water and stunning beaches, what more could you ask for? 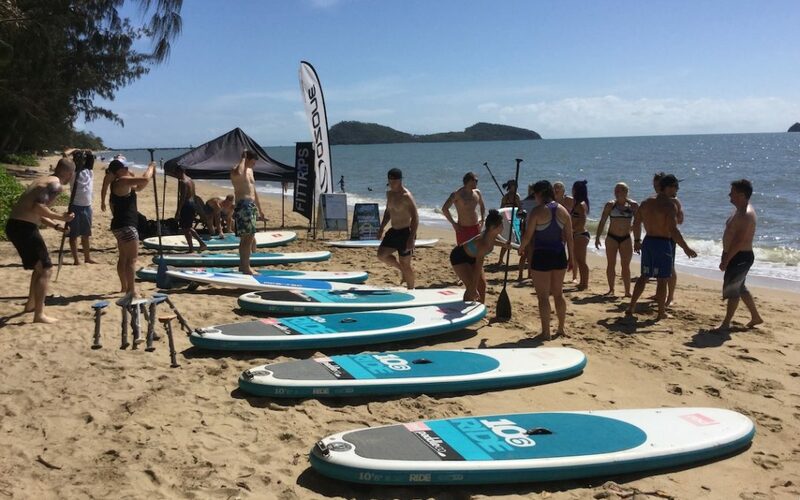 We hire paddleboards and run tours from the south end of Palm Cove. You will see our awesome trailer in the carpark. The north end has a jetty, which can be a major hazard with currents and waves and should definitely be avoided. But apart from the jetty, it is a very safe beach to paddle board. The south end is a bit more open too. There are also cafes and restaurants just behind where we operate. 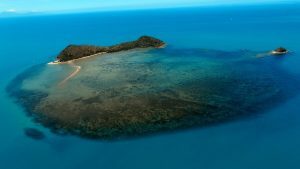 If in Cairns City, simply drive north along the Captain Cook highway for about 30 minutes. You will see Palm Cove is clearly signposted. 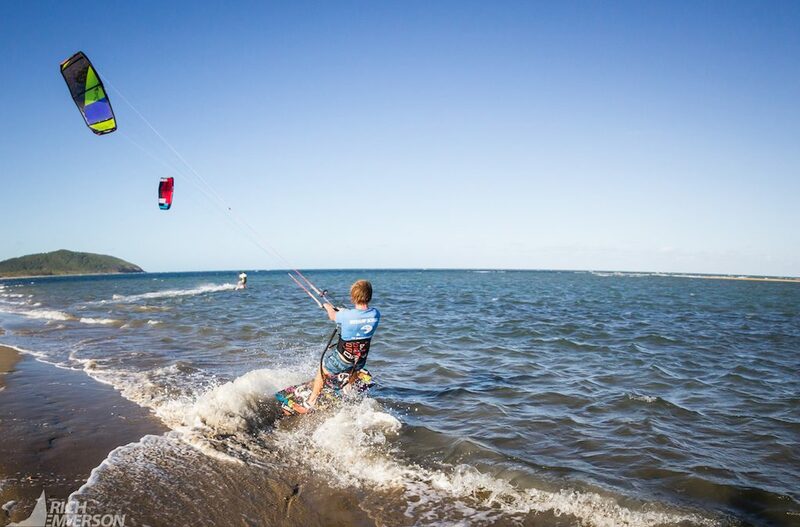 From Port Douglas, just head south for about 30 minutes along the Captain Cook Highway. There are also public buses and shuttles from all of the beaches and towns. 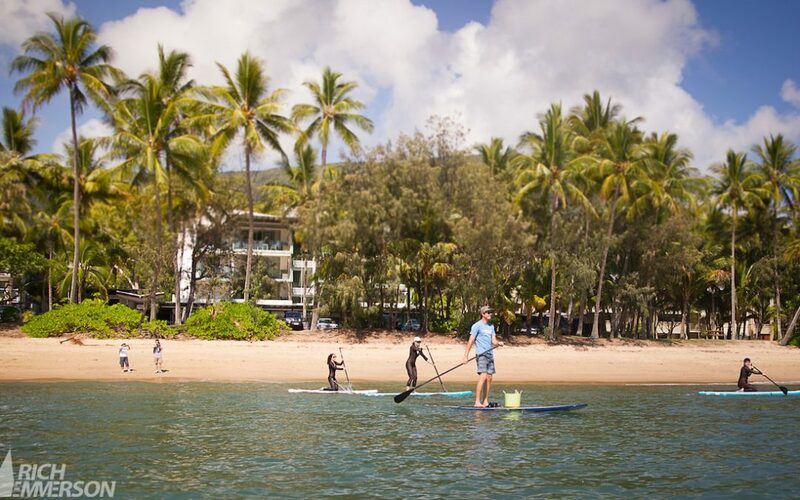 Paddleboarding Palm Cove is great, but taking the short paddle over to Double Island is a must. 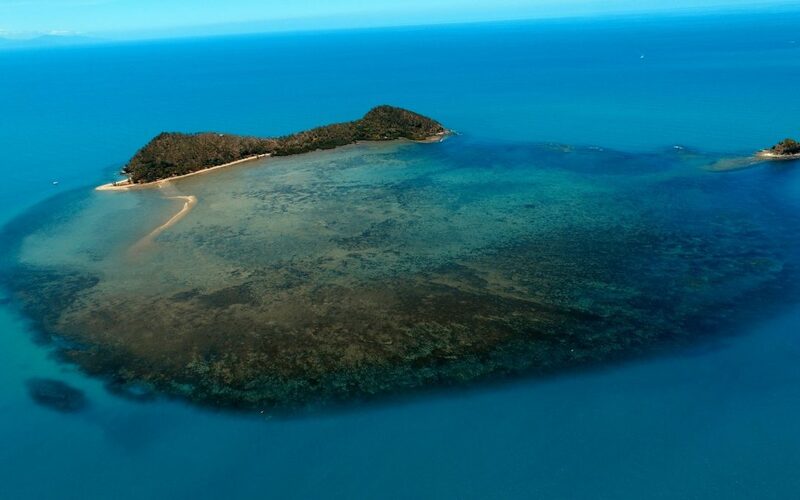 There are sea caves, beautiful reefs and amazing beaches over at Double Island. The water is generally a lot clearer too. The marine life is also a massive plus. 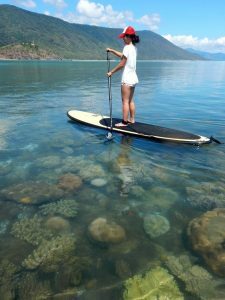 You are almost guaranteed to see turtles, birds, rays and colourful fish. 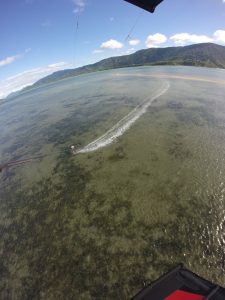 We also run Kayak Turtle Tours over to these island on kayak if that is more your thing. 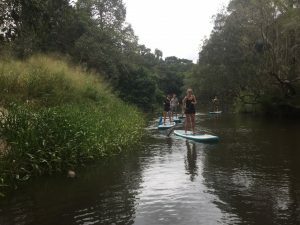 If the weather on the coast is not suitable for Paddle Boarding, we also have a tour up in Kuranda on the paddleboards. This tours is a must do and highly rated by everyone that does it. Check out what people have to say for yourself though. The water is always calm and the rainforest in truly amazing. 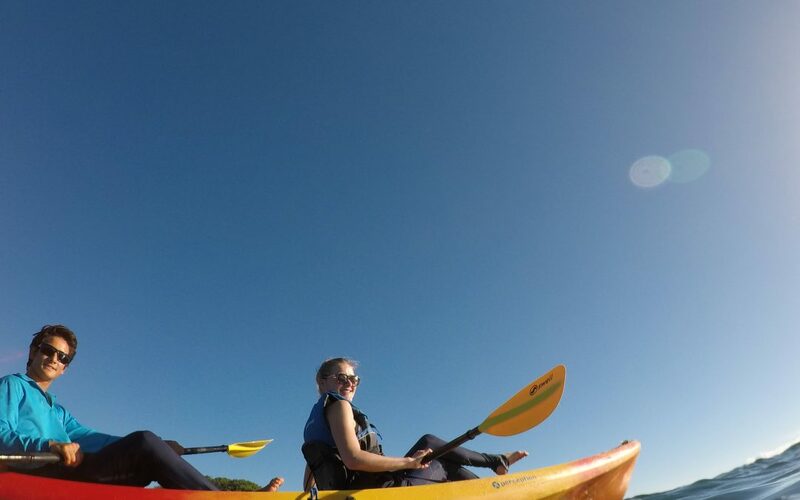 Here at Pacific Watersports, we are delighted to offer you a brand new kayak tour– a sunrise kayak tour in palm cove. 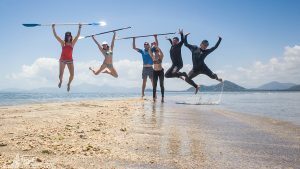 On this tour, we kayak over to Double Island under the light of the rising sun. There is no better way to start the day! 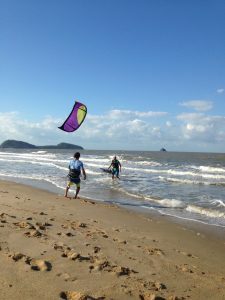 We start the tour at the very south end of the palm cove esplanade, just in front of the Pacific Watersports trailer. Here we get everybody set up for the tour. 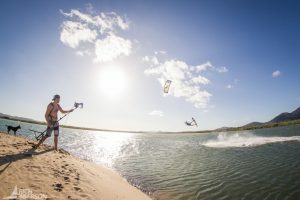 We provide stinger suits and life jackets and make sure everyone has adequate sun protection for the tour. 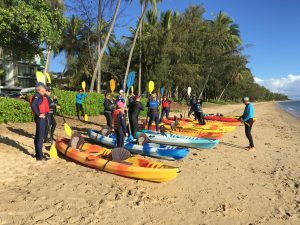 We run through an introduction to kayaking on the beach, before setting off with the rising sun. 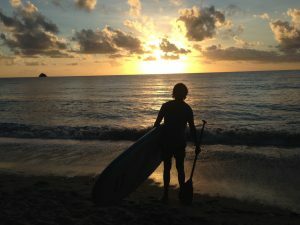 Paddling into the sunrise is such an amazing experience. Usually, Palm Cove sunrises don’t disappoint- expect beautiful orange and pink skies as you cruise over to Double Island. 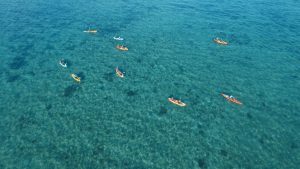 After a short paddle, we arrive at the coral reef which sits to the south of Double Island. 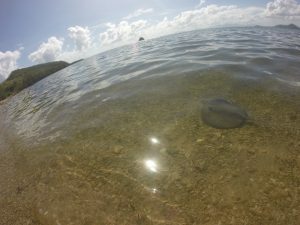 Here we explore the reef, looking at the abundance of sea life here. We often spot turtles- green turtles and Hawksbill turtles, Rays and Reef Sharks. 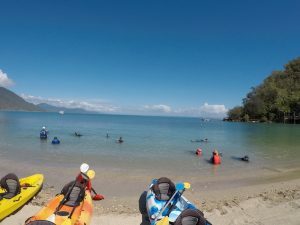 We also explore the mangroves and tell you a little about the life that can be found in the Mangroves and the importance of Mangroves for the life of all ocean creatures. 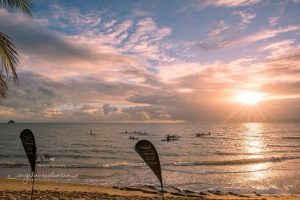 Our Sunrise Kayak Tour in Palm Cove lasts for 2.5 hours. after exploring the reef and the mangroves we cruise back to Palm Cove beach, right in time for a big hearty breakfast! 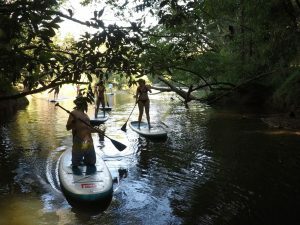 We hope to see you on our kayak tours very soon!